Filing an income tax return after filing for bankruptcy does not have to be a problem, as long as you know what to watch out for, including when and how to file. Is there life after bankruptcy? Absolutely, and it includes taxes. Filing an income tax return after filing for bankruptcy does not have to be a problem, as long as you know what to watch out for, including when and how to file. “People that file bankruptcy have to make sure that there are a few things taken care of when it comes to filing their taxes,” said Joshua S. Barger, vice president of tax services at Foundation Financial Group in Jacksonville, Florida. According to IRS Publication 908, Bankruptcy Tax Guide, the Bankruptcy Code requires a debtor to file an individual tax return, or request an extension. If this does not happen, the bankruptcy case can be converted or dismissed. In addition, the bankruptcy trustee is required to file an estate tax return, form 1041, for the bankruptcy estate. No matter what time of year it is, April 15 can seem too close for comfort -- especially if you are filing or considering filing for bankruptcy. With a little planning and preparation, you will at least know what to do to minimize your stress. Taxpayers who have made the filing for a bankruptcy and are still currently in the process usually make the mistake of filing their tax return as they normally would. This is not the process that should be taken. The confusion for taxpayers in bankruptcy springs from the requirement for the filing of two types of tax forms. One is for the individual and the other is for the bankruptcy estate. “As a Chapter 7 debtor, you would file your usual 1040 the same way you normally would any other time,” Archer said. “The trustee would not have anything to do with that because it's not a debt; it's an obligation that you have to file that paperwork with the federal government.” The trustee, however, would file a Form 1041 for the bankruptcy estate. On the other hand, if a debtor files for bankruptcy under Chapter 11, he typically remains in control of the assets and will act as the bankruptcy trustee. The debtor acting as the bankruptcy trustee is required to file both the individual 1040 individual return and the 1041 bankruptcy estate return. Archer said that although the vast majority of Chapter 11 bankruptcies are filed by corporations, not individuals, it is still important for individual debtors to be aware of these two separate filings. That is because an outside trustee might be interested in any tax refund that the debtor receives based on her individual 1040 filing. Depending on state and federal laws and the size of the refund, it might have to be turned over to the trustee to help pay off debt. 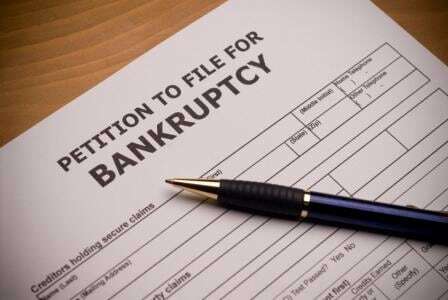 In the case of a Chapter 13 bankruptcy, the debtor pays disposable income into a monthly “plan” to pay creditors. “In this case, there is typically a continuing obligation of the debtor to file timely taxes and provide the returns to the trustee, and to turn over all refunds for payments to creditors,” Archer said. As with a Chapter 7 bankruptcy, however, the trustee will file Form 1041. One of the provisions of a bankruptcy is that the debtor may not acquire any other delinquent balances while under the court’s supervision. Barger said taxes may be defined as new debt if a person is unable to pay them. That can either force the court to dismiss or convert the current bankruptcy. “New debt that a person acquires while already in a bankruptcy is not protected from collection by the bankruptcy court, because it was not disclosed in the initial filing,” Barger said. In a Chapter 11 or Chapter 13 filing, both of which stretch over a period of time, the failure to file taxes or to keep current on new tax payments can result in a conversion of the bankruptcy to a Chapter 7 unless the case is dismissed entirely, Archer said. In a Chapter 7 case, Archer explained, the failure to pay post-petition taxes will affect neither the bankruptcy nor the tax debt. So while past taxes might have been discharged in the bankruptcy, beware of new taxes -- or any other new debt. Again, though, the most important thing is to file a return, even if you know you will owe taxes, and then try to work out a payment plan through the IRS if you are unable to pay the full amount due. Carl G. Archer, a bankruptcy lawyer with Maselli Warren, P.C., in Hamilton, New Jersey, offers the following tips for individuals filing bankruptcy and an income tax return. Always see an attorney for a bankruptcy case. Inform the attorney as to whether you have filed a return for each of the past three years. If you have not filed yet this year, consider doing so before filing for bankruptcy, unless you know you're going to get a substantial refund. If you have filed already, make sure the attorney has all tax records, and make sure you have a general explanation of how you used any refund money. The trustees always ask. If you get a refund, and you are considering bankruptcy, do not pay bills with the money. Doing so will slow the processing of your bankruptcy case. File your taxes on time each year. The IRS assesses separate penalties for failure to file and failure to pay, and they will find out if you owe them money even if you do not file. So save yourself at least half the aggravation by adhering to that mid-April deadline.